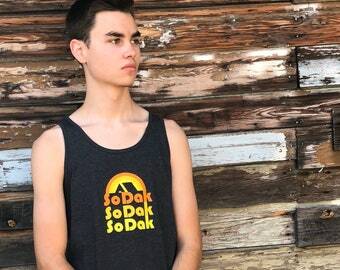 This SoDak racerback tank by Oh Geez! Design is going to be your new favorite! 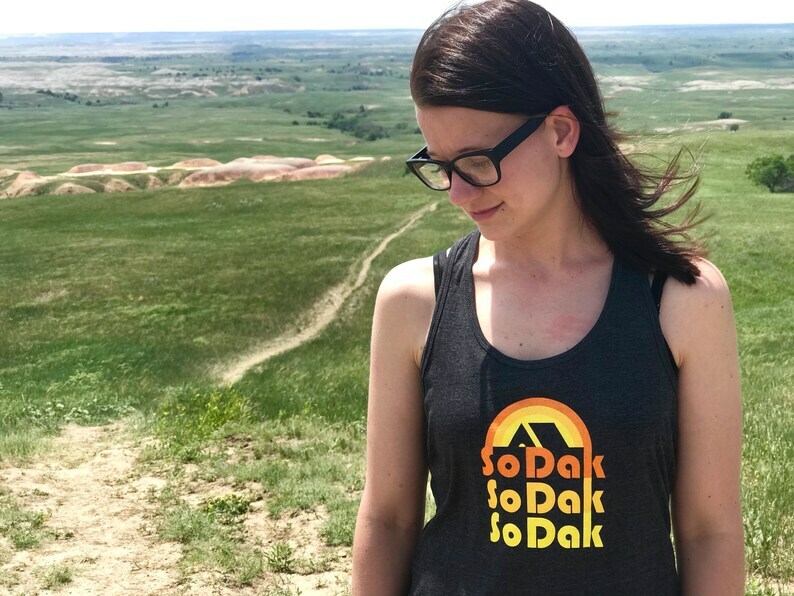 This South Dakota tank is perfect for showing off your SoDak love! 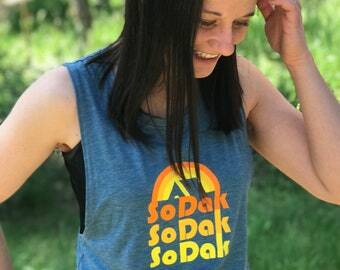 The racerback tank feature my SoDak retro camping logo, screen printed on the front with the Oh Geez! 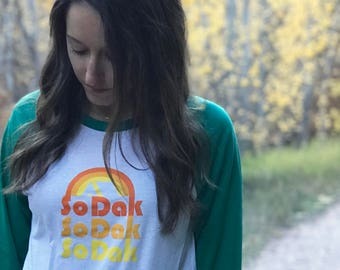 Design sun logo screen printed on the lower right hem of the tank top. The tanks are a heather dark gray jersey racerback tank, 100% Airlume combed and ringspun cotton. 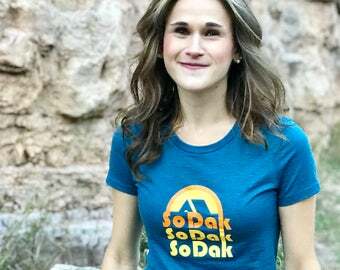 They are available in sizes medium through 2XL. They have a relaxed fit. Contact me for questions or measurements on any sizes.